Four Warnings from Vaccine Manufacturers: Who is Ignoring Them? Home > Blog > Vaccination > Four Warnings from Vaccine Manufacturers: Who is Ignoring Them? Surely everyone would agree patients suffering from chronic diseases like hypothyroidism or allergies are not healthy! Yet, despite these manufacturer warnings, the previous veterinarian administered the vaccine anyway. What is the justification for this? The client is often told that annual revaccination is a requirement. [FREE DOWNLOAD] Know if your dog is being vaccinated too often with this simple guide … CLICK HERE. What does this mean? The client gets to participate in the decision? Yes! In fact, in Wisconsin and many states, there is an informed consent law which requires the veterinarian to explain benefits and risks of every recommended procedure before implementation. [NOTE] Is your dog being over-vaccinated? Grab this free guide and compare your dog’s vaccine schedule to what current research considers safe and protective. Click Here. Is there a benefit to giving a vaccination to a pet who is immune-suppressed during allergy treatment with prednisone? No – the body cannot respond to a vaccination when it’s immune-suppressed. 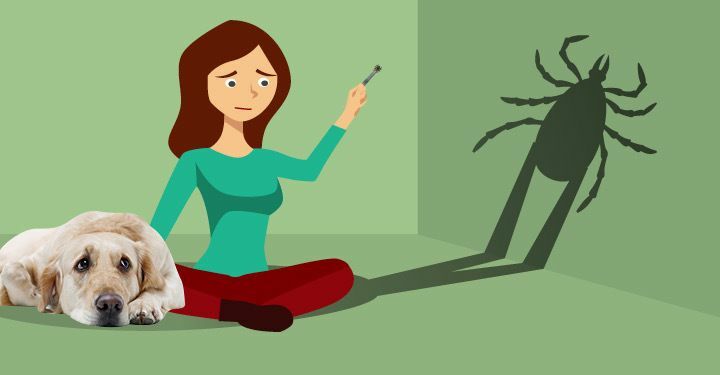 In fact, vaccine reactions are often suppressed intentionally, with prednisone treatment! Does the risk of a reaction outweigh the need for the vaccine based on the pet’s lifestyle? Commonly, the answer to this is, yes! Contrary to this, my client was told annual revaccination is standard care and problems with vaccines are uncommon. 3. Vaccines may produce anaphylaxis and/or inflammatory, immune-mediated hypersensitivity reactions. Tissue–origin vaccines contain extraneous protein that can lead to autoimmune disease. Vaccine may induce the development of injection-site fibrosarcomas (in cats). Manufacturers know that vaccines might not be safe? Vaccines might actually cause more harm than good? The manufacturer says the vaccine could cause autoimmune disease? What is an example of an autoimmune disease? In humans, many are familiar with lupus. In pets, many are familiar with autoimmune hemolytic anemia (AIHA) or immune –mediated thrombocytopenia (IMTP). These are life-threatening blood disorders. Often the cause is unidentified. Yet these disorders commonly occur within two weeks to three months after a vaccination. There seems to be an epidemic of autoimmune thyroiditis in dogs. Researchers are now proposing an autoimmune mechanism as a cause for arthritis. Concerned pet guardians can’t help but wonder about the vaccine connection to all this! My practice is inundated with the most chronically and severely ill patients because we offer alternatives for pets when conventional approaches fail. My staff is always so excited when a fresh new puppy or kitten arrives because we love nothing more than to get them off to a great start! We strive to provide a safe balance using Western diagnostics and skills and Eastern thought and natural medicines. [RELATED] Want to learn more about titer testing? Check this out. If maternal antibodies block the effectiveness of the vaccine and you don’t know this, than an exposed pup will get very ill, despite being vaccinated. 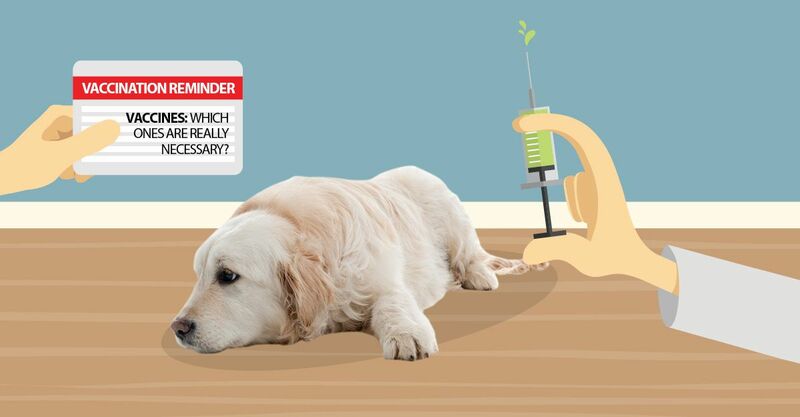 How can you know whether that vaccine has protected your puppy? Draw some blood and check the titer! That’s what titers measure best: the development of immunity. [RELATED] Are you vaccinating too often, too soon, or too much? Here’s how to take the risk out of puppy shots. Why do vaccine manufacturers make these statements and place them inside every vaccine package? They don’t want to be held liable for harm that can happen if their products aren’t used properly. For this same reason, veterinary advisors who work for these companies will recommend that vaccines not be repeated after a reaction. Yet my clients tell me their reactive pets are still vaccinated every year but the vet gives an antihistamine injection prior to giving the offending vaccine. The veterinarian who does this is clearly ignoring the vaccine manufacturer’s warning. Now you know that it’s okay to question the routine administration of vaccinations. All you need to do is ask your vet to let you read the vaccine insert and you can ask him for his reasons for vaccinating your dog against the recommendation of the vaccine manufacturer.